I am a strong believer that, human nature being what it is, there is little new under the leadership and management sun. So in our September 2016 blog, I shared with you a selection of the leadership lessons from my naval hero Lord Nelson. This time, in the interests of balance, I thought it only fair that I share some leadership lessons from my army hero, Field Marshal Viscount Slim. He’s not a household name like Nelson, or even as well-known as his contemporary Montgomery, but he did write one of the best memoirs of a serving general ‘Defeat into Victory’, which covers his time in Burma during the Second World War. 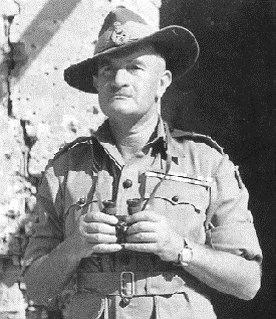 He was promoted in March 1942 to command Burma Corps and subsequently commanded the longest retreat in British military history, over 900 miles. Yet he managed to turn a disorderly panic into a controlled military withdrawal and was consequently promoted again, taking over Eastern Army (later renamed 14th Army) in October 1943. On taking command he found himself confronted by three major problems: supply, health and morale. But it is his approach to poor morale that I wish to focus on. The 14th Army was suffering from a record of defeat against the Japanese; lack of elementary amenities; the discomfort of life in the jungle; and feelings of isolation and homesickness (it is no coincidence that they are known to history as the ‘Forgotten Army’). In response, Slim gave great thought to what he felt were the foundations of morale. He decided they were three-fold: material, intellectual and spiritual. From a material perspective he felt strongly that a soldier must feel that he will get a fair deal from his commanders and from the army generally. That he must, as far as humanly possible, be given the best weapons and equipment for his task, and that his living and working conditions must be made as good as they can be. Intellectually, a soldier must be convinced that the object can be attained, that it is not out of reach. That he must see, too, that the organisation to which he belongs is an efficient one. He must also have confidence in his leaders and know that whatever dangers and hardships he is called upon to suffer, his life will not be lightly flung away. Spiritually, there must be a great and noble object. Its achievement must be vital. The method of achievement must be active and aggressive, and the soldier must feel that what he is and what he does matters directly towards the attainment of the object. But he did not stop there, this was not a philosophical exercise in leadership theory, he also thought about how he might put his ideas into practice. His approach to the material foundation was to begin by being honest. He admitted to the shortages, but he told his soldiers why that was so: because the German Army was better equipped than the Japanese and the strategic priority was Europe. Second, he stressed that each Commander would do his utmost to rectify the shortages, otherwise they would improvise or simply have to do without. But he emphasised that no one would be asked to do something unless they had the minimum level of equipment required. Furthermore, he instituted half rations for everyone, irrespective of rank, including himself and his staff, and stipulated that there was to be no distinction between race or caste with regard to treatment. This was significant because 14th Army was a multicultural force comprising soldiers and auxiliaries from Britain and the Commonwealth, including substantial numbers of Indians and Africans. A fact that is too often forgotten. From an intellectual perspective he began by emphasising the small wins, beginning with a significant Australian victory. He also ensured that fighting patrols and minor operations were carried out with overwhelming strength to ensure success. As well as improvements in supply he emphasised the importance of sharing information throughout his command, and began a news journal called Seac, which was issued to all troops. Reinforcement camps were also improved, to allow genuine recuperation, but at the same time discipline was enforced, the soldiers were not to be allowed to develop bad habits before returning to the frontline. He also ensured that officers were carefully selected for command. Those found not up to it were sacked. As I said, human nature being what it is, there isn’t much new under the sun and there is plenty still to learn from Slim and all great leaders. The context and the times may have changed, but human nature hasn’t. Interestingly, after the War Slim was asked to share his experiences with business and for a time he offered his services as a high-powered management consultant.